Housing, affordability and poverty are becoming more pressing issues, with increasing signs that Malta’s economy is growing asymmetrically. As a result, many families are being marginalised and impoverished because they cannot afford appropriate housing that allows them to live with dignity. This is not only true for vulnerable family units, but also for young couples planning to form new families. 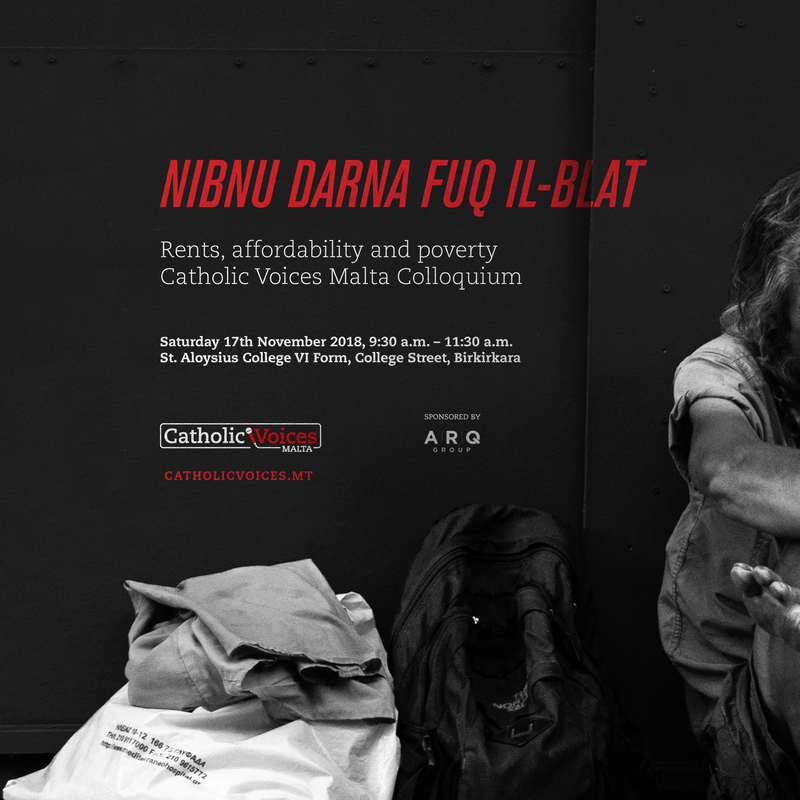 Catholic Voices Malta is organising its first public seminar on this topic. This will take the form of a Colloquium that will focus on the effect the rapid rise in housing prices is having on social cohesion, social justice and families in Malta. The Hon. Rodrick Galdes Parliamentary Secretary for Social Accommodation will also be present for the Colloquium and participate in the debate. The Colloquium is entitled: ‘Nibnu Darna fuq il-Blat’. Time 9.30 – 11.30 a.m. The Colloquium is kindly sponsored by ARQ Group.